A treadmill is a machine that helps you lose weight and stay fit, while improving your cardiovascular health. When looking to buy one, you must consider the treadmill’s purpose, as treadmills can differ in their prices and features. If you’re looking for a treadmill that’s robust and replete with features, you probably need a commercial treadmill that can be used in a house too. In this review article, we’ll take a look at one such treadmill, the JTX Sprint-9. We’ll go through its features, benefits, negatives, and determine if it’s worth the high price tag. Weighing well above 130kg, the JTX Sprint-9 is built like a tank. The heavy steel frame and commercial-grade deck ensure the treadmill not just looks great but also lasts the distance. With the frame backed up by a lifetime warranty, the motor being covered by a 10-year warranty, and home repairs (including all labor and parts) offered for three years from the date of purchase, you can rest assured you’re not getting yourself a toy or some cheap plastic junk. 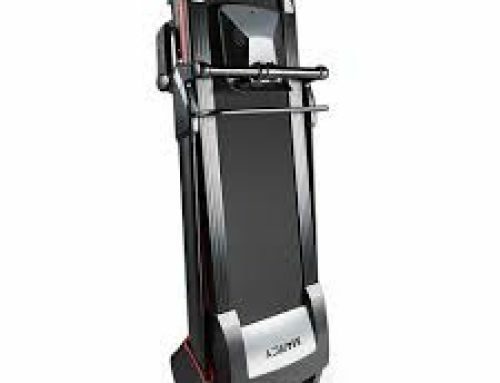 The safety lock and dual-hydraulic folding system let you fold the treadmill and turn it into a more compact machine. The wheels built-in let you move the treadmill to a storage place with significant ease. When you are ready for training, the dual-hydraulic safety setup gently pushes the CushionStep deck down to the ground. The treadmill’s robust 100kg running deck provides the stable, supportive, and firm feel that commercial treadmills are known for. The larger (153 x 52cm) running deck offers necessary space to move unhindered and supports your arm movements and natural stride for a more comfortable and effective workout. Made from engineered fabric, the running belt is made to last 50 percent longer than regular belts. The shock absorbers incorporated into this machine offer much needed support and comfort that reduce injuries, let you feel less fatigued, and help you work out longer. The eight-point shock setup has a variable-durometer cushions, which are usually found in gym-based machines. They decrease impact on your ankles, feet, hips and knees while you run. A 3HP motor powers the treadmill, offering a top speed of 20kph or 12.5mph. The motor guarantees high-performance, long-term training backed up by the product’s robust warranty. Also, the incline motor employed is of the commercial-grade variety. The responsive and smooth incline control churns out a 15 percent gradient. 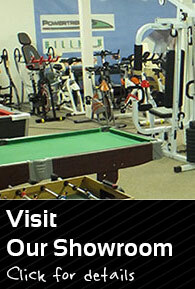 This mix of incline and speed creates boundless workout potential for various abilities and levels. 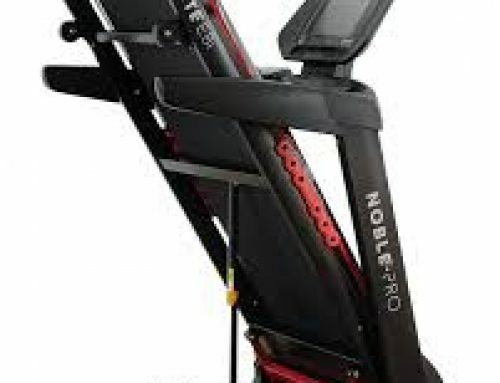 The machine comes with 24 built-in exercises so that you stay motivated while using this machine. These workouts’ difficulty levels are user-controlled. You can also devise and save three custom bespoke programs. The modern computer console is made to facilitate complete ease of use. And the 10-inch size means the screen can be easily read, even when you’re sprinting hard. The handlebar controls and quick start buttons make sure you stay in control of the machine always. The modern safety features ensure you can perform high-energy workouts and not worry about the machine breaking down or causing harm to you. Emergency stop features, advanced user detection, large extra foot rests, central hand-grips and extended side handlebars offer reassurance when you’re pushing both yourself and the machine to the limits. The machine connects with your iPhone or iPad wirelessly. Run different routes with the help of location images and Google Maps technology. The incline adjusts automatically to reflect gradients of the location you choose. Thanks to this tech, you can take the London Marathon path or check if you could run beyond the Eiffel Tower. There is a fan built-in that lets you stay cool during your runs. The two water bottle holders ensure you remain hydrated when performing extremely intensive workouts. The built-in speakers let you play your favourite workout (or non-workout) music so that you stay motivated throughout. • Does the product come with a commercial warranty? As aforementioned, the treadmill offers various levels of warranty for home users. If you’re going to use this machine in a commercial setup, you would get a warranty of one year. • How is the product disassembly like? The produce can be taken apart easily after it’s first assembled. You’ll have to unplug the wires and remove a few nuts and screws to end up with two large pieces. • What’s the height of the deck from the floor? The height difference between the running deck and floor is 22 centimetres; and on complete incline, the height increases up to 35 centimetres. • Is the incline electric? Yes, the incline is automatic and offers various levels. • Is there any specific lubricant you need to keep this machine well-oiled? No, you can make do with any treadmill lubricant. The JTX Sprint-9 is ideal for health clubs and well-equipped home gyms. If you are someone who needs to lose weight and/or have set training goals, this treadmill would be right in your alley. The machine would offer optimal running experience and help you achieve your fitness goals. However, if you’re just starting out with exercising or you’re going to buy a treadmill for personal use for the first time, the JTX Sprint-9 would be an overkill. You would certainly be able to set the machine to adapt to your basic requirements, but you could get that done on much cheaper machines too. 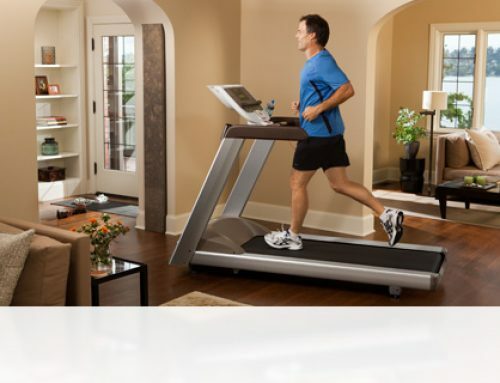 The JTX Sprint-9 treadmill is designed for runners seeking high-performance gym workouts in their homes. It offers superior stability, space, and impact reduction that professional runners expect from a treadmill. All runners, which includes people with heavier or taller frames, would enjoy this design’s bio-mechanic excellence. The price is definitely more than regular home treadmill machines, but you’re getting those handy extras that home models usually miss out on.